Motor vehicles are constantly exposed to the damaging effects of the varying climate conditions as found in different parts of the continent. These environmental influences can significantly reduce the service life of a vehicle, which is why vehicle owners are constantly searching for some form of protection for vehicles that will minimise damage and corrosion from their everyday activities. Rhino Linings Australasia (RLA)’s Tuff Stuff is a premium spray-applied lining product that has a thick, textured surface that provides enhanced slip resistance for cargo and maximum protection against corrosion, scratches and dents. The lining forms a permanent air and water-tight bond that prohibits rust, corrosion and surface abrasion. The non-porous lining is easy to clean and the non-abrasive surface texture helps keep cargo in place. The company’s Regional Sales Director, John Papas, says selecting the correct product is important which is why all RLA dealers and applicators receive comprehensive and intensive training that enables them to choose the right product in any given situation. “We have technically experienced staff in Australia, but we can also call on the expertise of our overseas counterparts, particularly in the US, for specialist advice,” he says. RLA General Manager Peter Morgan says Tuff Stuff is warranted not to crack, warp or peel—even under extreme temperatures – and is used extensively to protect vehicles such as utes, trucks, 4WDs, prime movers, trailers, boats and horse floats, in addition to military vehicles, flooring, buildings and industrial equipment. According to him, all of the company’s products are manufactured on the Gold Coast and ship to dealers and applicators throughout the region. “While there are some areas with potentially slightly more corrosive environments, we only occasionally have to include any special additives. Even if tradespeople are carrying acids, fuels or solvents, RLA has a suitable surface coating.” says Papas. 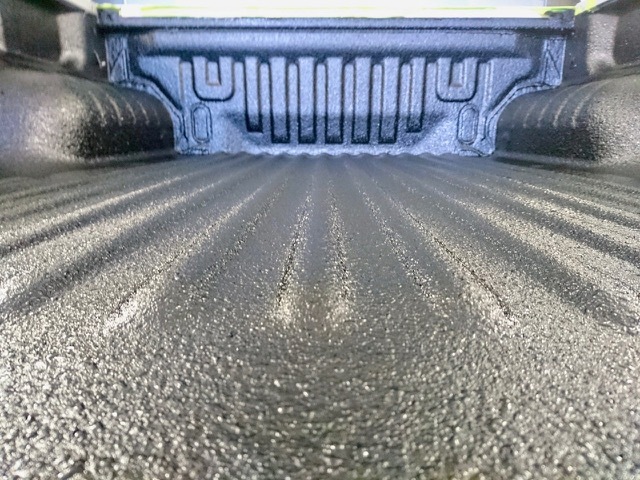 The rapid setting of the company’s polymers not only minimises downtime but also allows for polymers to be applied up to two or three times thicker than other liners, providing more protection, more sound deadening, more slip resistance and more vibration absorption than any other ute liner on the market. “The beauty of our coatings is that they are rapid setting,” says Papas.